Analyze data sources in multiple languages. Visualize future, present, and past threats. Monitor the dark web for threats. Investigate actors and indicators of compromise. Detect leaked or breached data. 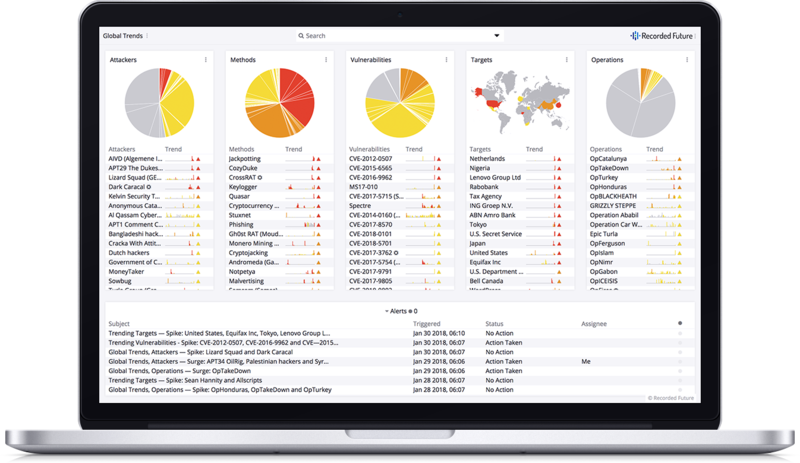 Integrate our threat intelligence with other products. Fill out the form and we'll contact you to schedule a demo. "Recorded Future is the first place we go to start building context."